They come at you in waves, and that’s by design. 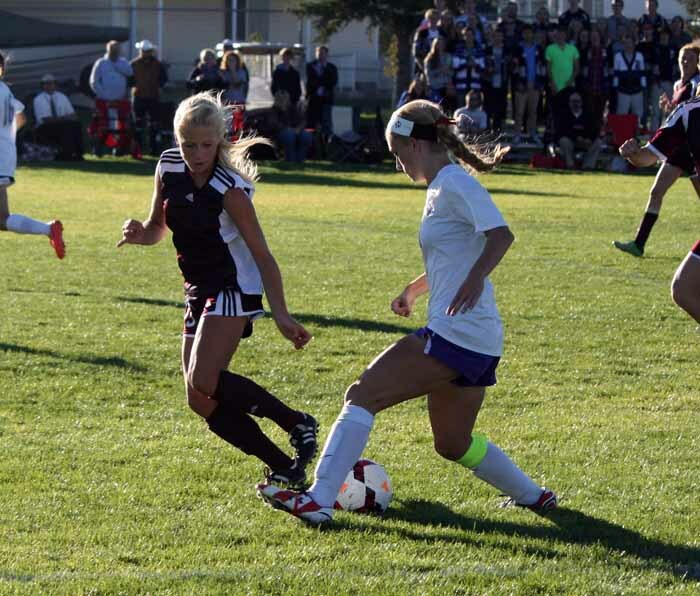 When you face off against the Lone Peak High girls soccer team, you never know where the danger is going to come from, but you do know it’s coming. During the course of their run through a 16-0 regular season, the Knights received goals from 17 different players. Because their leading scorer, Cameron Tucker, has just 11 goals, the individual statistics don’t scream that this team as an offensive juggernaut, at least not until you take a closer look. 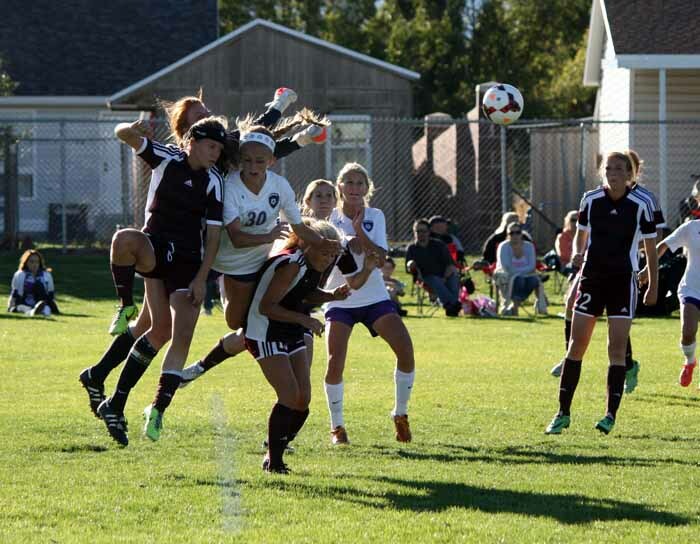 Lone Peak certainly is dominating in its defensive third, having allowed just five goals in those 16 contests, with a dozen shutouts. But don’t let that fool you into thinking this is just a defensive team. The key word in Alpine is balance. Worrying about trying to find ways to solve senior goalkeeper Cassidy Smith and the defenders in front of her can occupy a lot of time and energy, but while you’re doing that, those 17 players will be found at your end of the pitch, where they pounded the back of the net with 69 goals in those 16 games. 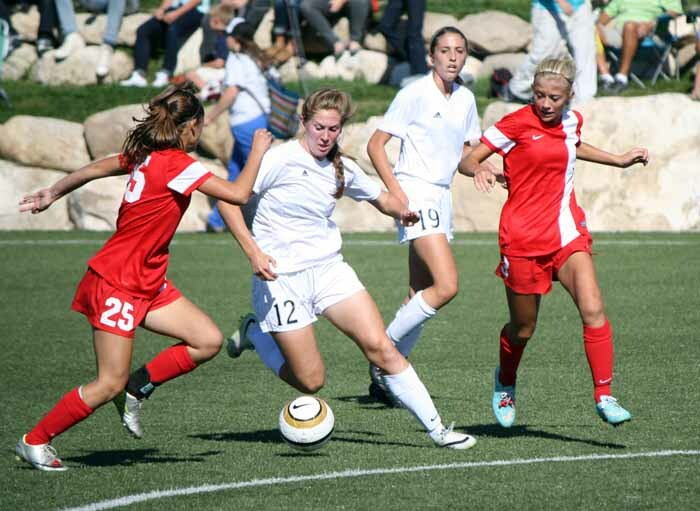 It’s that movement and passing that makes this Lone Peak team particularly dangerous. The Knights play a game that just seems to flow, at least when they stay on point. Player movement is critical for Lone Peak, and the Knights do a good job of letting the ball do the work with that crisp, effective passing game. Lone Peak transitions well from defense to offense in part because its players all understand their roles and responsibilities. It’s hard to tell exactly what formation the Knights are running, and Dahl likes it that way. Building towards a team that had the potential to run through an undefeated season while playing in the stout Region 4 and then taking a serious run at the state title has been a process for Dahl. This year’s Knights are in a good position to get there because they are deep in talent at every position. The coach is not hesitant to substitute and use that depth to provide different looks and give her players a chance to stay fresh. 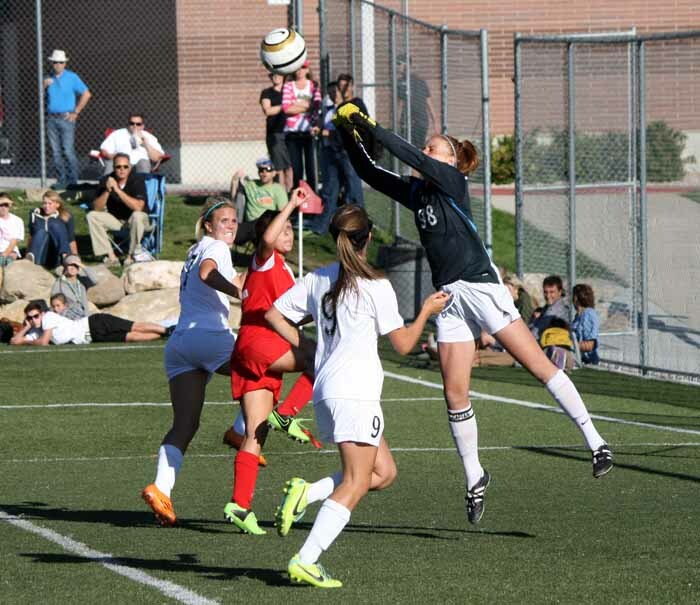 With all of the substituting, there are two players who never leave the field for Lone Peak – Smith in goal, and Stowe as the anchor of that defensive group. For all of their ability to score goals from multiple players and all positions, the Knights are extremely difficult to beat in large part because it is all but impossible to get the ball into the net against that defense. At Lone Peak, that defensive effort starts at the top and continues back through the midfield as everyone battles for every possession. 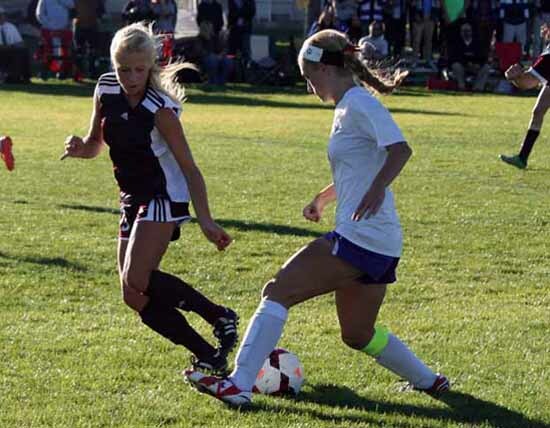 To play a schedule that includes some of the state’s top scorers including Hailey Skolmoski of Riverton and Morgan Quarnberg of Pleasant Grove, and allow just five goals, you have to get defensive efforts from all over the place and that effort and energy starts with Smith and Stowe. So it starts with the two dynamic players in the back, but if Lone Peak is able to run the table and get the championship this season, it will be because there are so many leaders on this team. For the Knights, the last three seasons have ended with playoff losses to Viewmont. Twice, including last season, those losses came in the state semifinals. Lone Peak has worked hard to make this the season that they break through, and the result was an undefeated regular season. Dahl credits much of that to her team’s work ethic. The players feel that being undefeated has added to the intensity of their preparation and to the way they attack each contest. That does not change the fact that the expectations are there, and with those expectations comes some pressure to perform. The end result to the season may well depend on how this group responds to that pressure. If her team plays the game it’s way, Dahl is confident everything is in place for a deep tournament run. One key, she says, is to avoid that one error. Tough region battles down the stretch against Riverton and American Fork, two teams Lone Peak may see again before this is all over, have certainly made it clear that winning a state title is not going to be easy, but that would make it all the more meaningful.